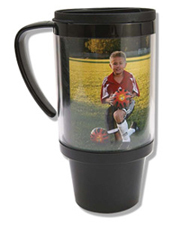 Thermal Mug - 16 ounce mug with individual photo and name. Water Bottle - durable 15 ounce plastic water bottle includes a handy storage compartment that unscrews from the bottom for keys and money. Includes individual photo and name. 2010 Calendar - size is 8x10, includes individual photo, name, and your sport. 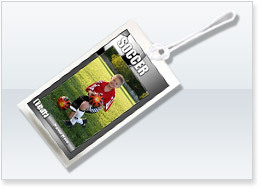 Bag Tag - for your gym bag, backback, or suitcase. Includes your sport, individual photo, name, address if provided. 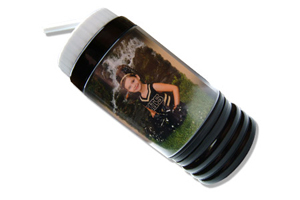 Flashlight Keychain - Aprroximately 1.3 x 1.8 inches, includes individual photo and battery. 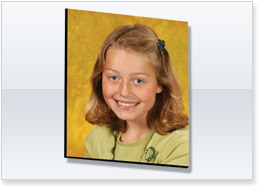 Magnet Frame - Wallet size individual photo in a black frame covered with plexiglass. Has a magnet on back for hanging as well as a stand for table placement. 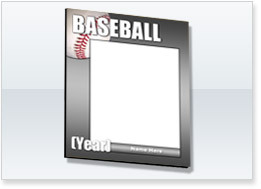 4 x 5 Photo Magnet Template - your sport , includes individual photo and name. 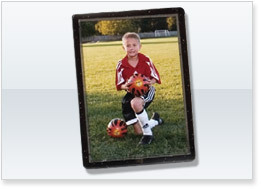 4 x 5 Photo Magnet - full 4 x 5 inch photo with a magnetic back - no text. Buttons - 3.5 inches in diameter, printed with your sport like the button on the left, includes name & year. Check for availability with a sports package.